Yes, these were the musicians of the Seicento � the seventeenth century, a hundred years of artistic experimentation, nowadays consigned to the touchlines of musical history with the dismissive term �transitional�. Although the great baroque masters who followed have stood the test of time in a way that the madcap musicians of the Seicento would never achieve, the music of these early trailblazers can still infuse us today with the thrill of the unexpected. 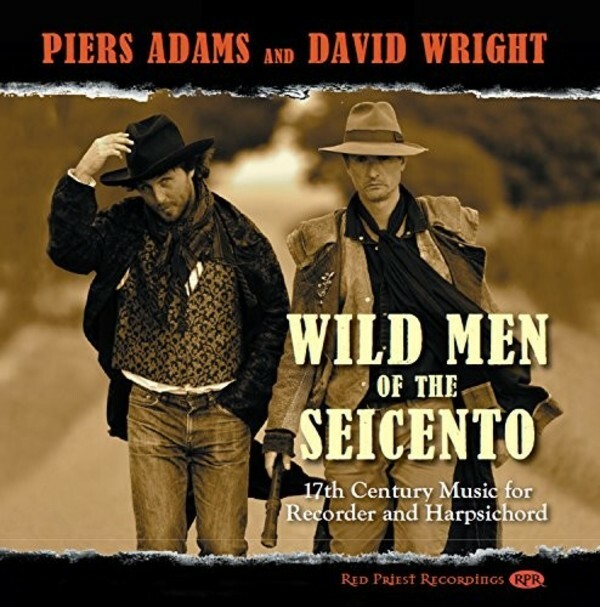 Piers Adams is the modern day wild man of the recorder. His steadfast refusal to accept the natural limitations of his instrument has led the Washington Post to describe him as �superhuman�, and International Record Review to declare: �The things Adams does with his recorders defy the imagination.� Innovations in recorder design � most recently the �Eagle Recorder� featured widely on this album � have enabled Adams to expand the instrument�s repertoire to include every musical genre from renaissance to romantic to rock, and to astonish audiences with its expressive possibilities.